For years, the extent of my lipstick game was a swipe of semi-sheer, light pink color that didn’t really enhance my looks or brighten my smile. I finally came to my senses and decided to make bright pink lipstick one of my signature items (along with short hemlines and flat shoes, of course). 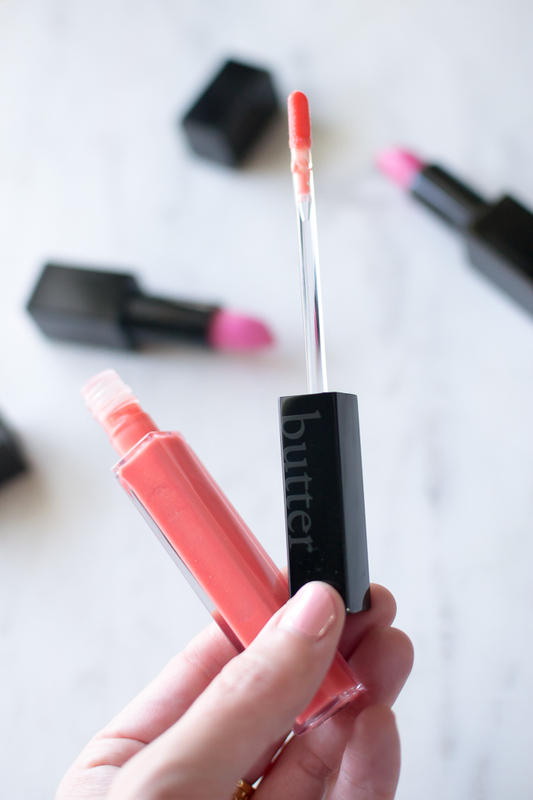 I hadn’t strayed far from my beloved Stila lip color for the last two years, but butter LONDON’s Plush Rush lipstick is stealing my heart and the precious limited space in my pint-sized handbag. The key features of the line are that it increases lip fullness while moisturizing to make your pout feel firmer and smoother. The creamy color is long lasting, and I haven’t noticed any feathering or bleeding throughout the day. (I’ve worn it for two weeks now.) One generous swipe in the morning lasts until midday before eventually fading into a beautiful lip stain. I’ve been pretty much obsessed with the shade “Rebellious” that you can see in this post. 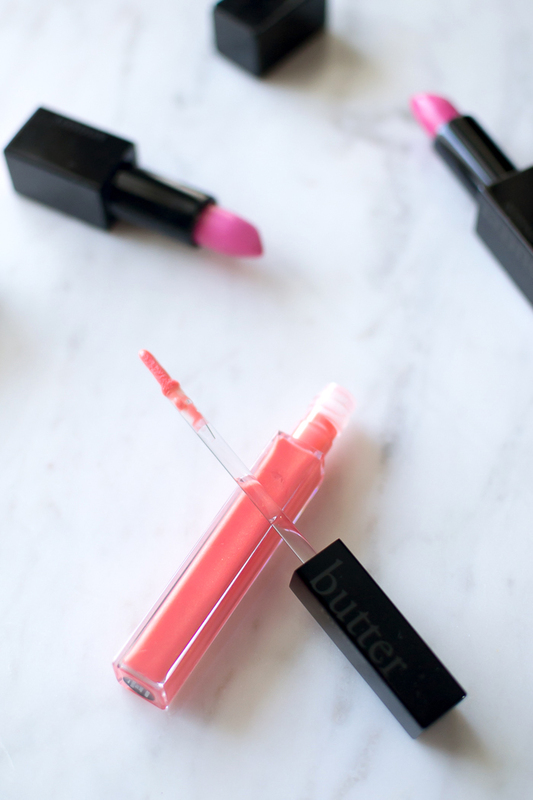 The brand also has a long-lasting, high-shine lip gloss in the Plush Rush collection that offers many of the same benefits as the lipstick. 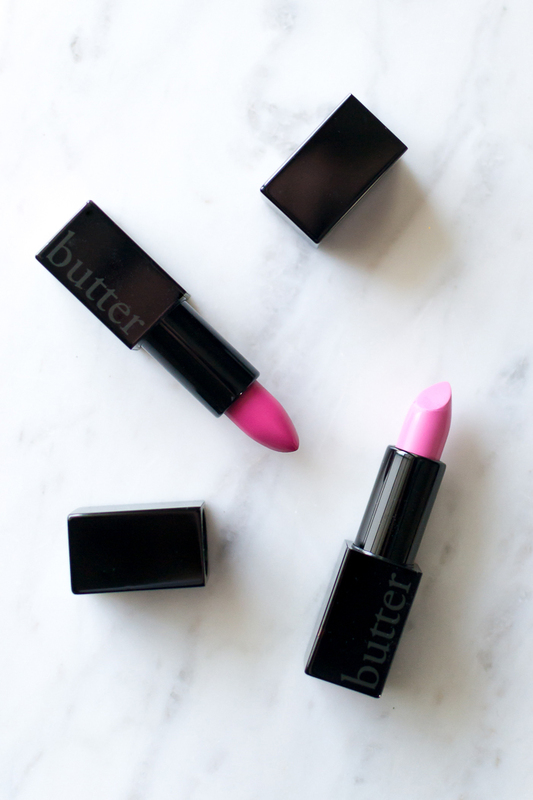 The colors are more subdued, of course, but they offer a flirty hint of color on their own and an effervescent shine layered over your favorite lipstick. 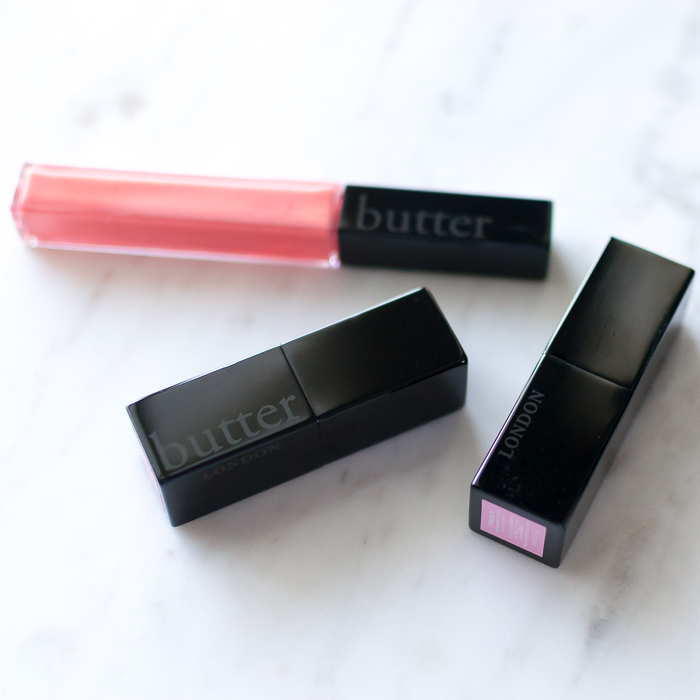 Thanks to butter LONDON for sponsoring this post! Jack & Lucy Bicoastal Wide Brim Hat ($58): I’m just not a hat girl. NCLA MANI-ER Tool Kit ($16): I would have enjoyed this more if I didn’t already have a couple of travel manicure sets. I’ll toss this in my desk at work. Briogeo Don’t Despair, Repair! Deep Conditioning Mask ($36): I have yet to try this, but I’m not excited about it. My hair is relatively healthy, split ends aside, without damage from over processing. I’ll give it to my mom to try since she dyes her hair. Flint Lint Roller ($10): Okay, this retractable lint roller is pretty awesome and way easier to tote around than a traditional one that just becomes a mess. Smith & Cult Lip Lacquer in “The Warning” ($22): LOVE. The Gluten Free Bites in dark chocolate coconut ($5): These are vegan and gluten free. They’re okay, but I’d rather have the dairy! What made it worth it? 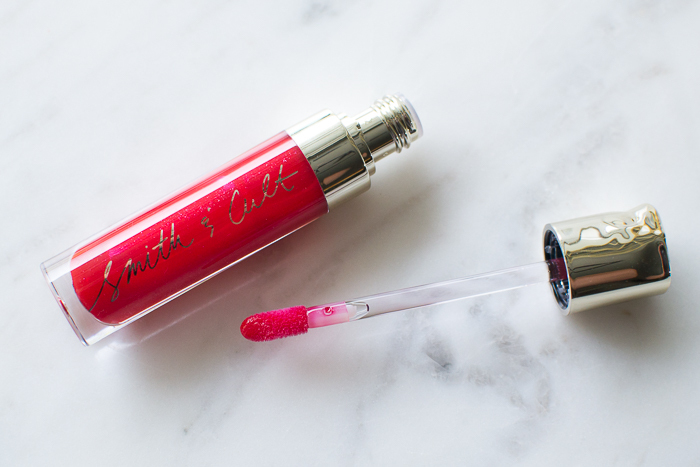 The Smith & Cult lip lacquer in “The Warning,” a gorgeous sheer red gloss. The Must Have Box comes in at $39.95 (you can take $5 off your first box with code SHOP5). Given that the gloss retails at $22, another $17.95 for the other items really isn’t that bad, especially when I’m going to get a ton of use out of the retractable lint roller and I’m going to attempt to be a hat girl for at least one day.